9-F0B2 system, Providence region. On the 13th of August at 19:34 EVE Standard Time a small capital brawl flared up in the system between Providence Bloc forces and WAFFLES. [N0MAD]. The battle started after a lone WAFFLE. Naglfar dreadnought roamed the region in search of a fight. The dreadnought entered the 4B-NQN system through 9UY4-H only to find out Providence Bloc had assembled a small Hurricane\Gnosis battlecruiser fleet, estimated at 40 pilots, to destroy it. The force had traveled to the 9UY4-H system and set up on the 4B-NQN gate, deploying a mobile cynosural inhibitor in the process to prevent reinforcements. The dreadnought was soon joined by a 15 pilot Moa cruiser fleet which had been roaming the region. The two fleets sat on either side of the gate, neither wishing to jump into the other. Realizing that Providence Bloc wouldn’t budge, WAFFLES. decided to engage. Using the standoff, WAFFLES. organized a combat carrier squadron with a few force auxiliaries to serve as logistics backbone. They proceeded to secure a cynosural beacon in the system, though at a distance from the gate due to the inhibitor’s presence. Ready, the WAFFLES. Moa gang and the dreadnought jumped into the waiting battlecruisers, de-cloaking and starting the fight. Immediately, a cynosural beacon lit up 30 kilometers from the gate to allow the combat carriers to jump in while the cruisers and the dreadnought de-cloaked and engaged the hostiles. The two sides quickly exchanged fire as railguns and artillery batteries targeted hostile ships. The artillery barrage was enough to destroy a few WAFFLES. ships. However, the dreadnought which had been equipped with high angle guns was able to pulverize ships with its massive autocannons. Added to that were fighter squadrons which descended upon the Providence Bloc fleet, ripping battlecruiser after battlecruiser apart. Sustaining losses and unable to fight back properly, Providence Bloc quickly retreated, with WAFFLES. attempting to destroy as many of the fleeing ships as possible. Once the field had been cleared of hostiles, the Moa gang continued on its way while the capital ships made their slow extraction via gates to low security space. Providence Bloc however was not done fighting and sent interdictors to slow down the ships’ advance. Interdictor after interdictor deployed warp disruption probes to trap the lumbering ships as they attempted to warp to gates. The capital ships did what they could to destroy the interdictors and several were downed while trying to hold the capitals down. 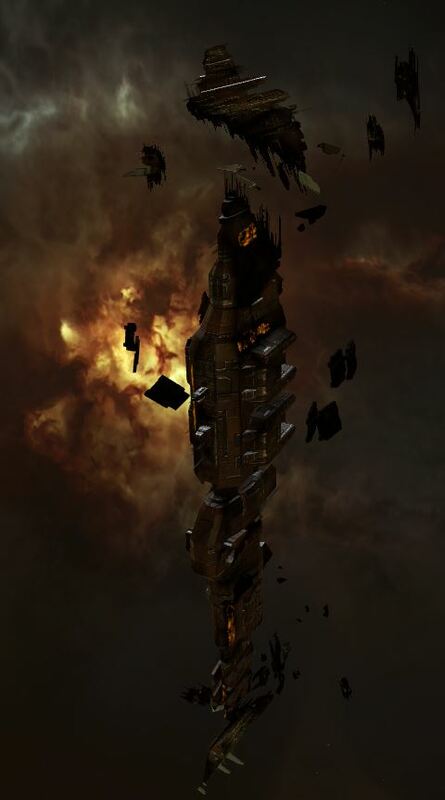 At the same time, Providence Bloc had started assembling its own capital ships to drop on the hostiles. WAFFLES. scouts were quick to spot Providence Bloc’s activity and report it, prompting the alliance to reach out to its allies and hastily assemble a counter of its own. This brought the total of pilots in the WAFFLES. fleet to 50 as three dreadnought squadrons and a few more combat carriers joined in anticipation. They didn’t have to wait long as Providence Bloc decided to drop on the retreating WAFFLES. capitals in the 9-F0B2 system. The ships had just de-cloaked on the 4B-NQN gate in their attempt to align to their next gate when a cynosural beacon lit up, bringing a squadron of Providence Bloc dreadnoughts through. 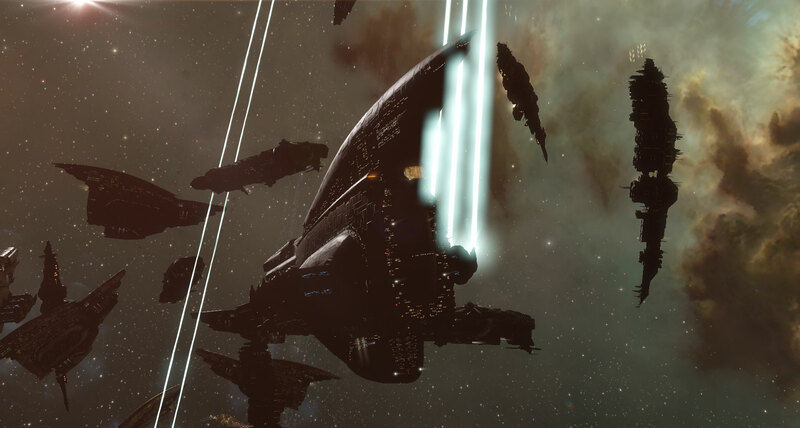 These dreadnoughts were soon joined by a reconstituted Hurricane/Gnosis fleet, bringing Providence Bloc’s total fleet number to around 70 pilots. The dreadnoughts entered their siege cycles immediately and opened fire on the WAFFLES. 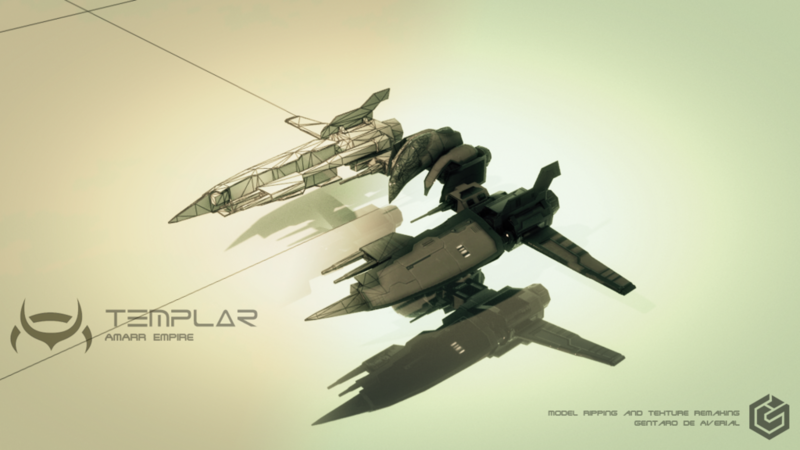 capital ships. WAFFLES. responded in kind, lighting a cynosural beacon and bringing forth their own dreadnoughts. A bloody brawl developed on the gate as the two sides exchanged capital munitions at close quarters, the battlecruisers drawing some distance from the maelstrom of fire. Capital ships on both sides were destroyed but it was quite clear WAFFLES. had the advantage in numbers. Though initial exchanges went rather evenly, as the fight dragged on WAFFLES. were able to destroy more and more of Providence Bloc’s capitals uncontested. After a few minutes of bloody fighting the last Providence Bloc dreadnought fell to the WAFFLES.’s onslaught, prompting the sub capital fleet to depart as it could not face the capital force alone. With the battle won, WAFFLES. looted the field before extracting their capital ships and bringing an end to the fight. A battle report for the 9-F0B2 and 9UY4-H systems can be found here. All told the battle on its two parts lasted 17 minutes with Time Dilation not reported and the systems holding at one point an estimated 130 pilots. Providence Bloc lost 37 ships including 13 dreadnoughts, 1 force auxiliary and 14 battlecruisers for a total of 44.75 billion ISK damage. WAFFLES. lost 11 ships including 6 dreadnoughts, 1 force auxiliary and 2 cruisers for a total of 22.34 billion ISK damage.